Master Plumbing is the plumber of choice in Aspen Hill, Maryland! Aspen Hill is a wonderful town to live and raise a family. Home upkeep is very important to the homeowners in Aspen Hill, so when your plumbing needs some work it’s important to call in the very best. Luckily, the very best plumbing experts are close at hand. Here at Master Plumbing, we pride ourselves on our expert service and quality of care when it comes to your plumbing system. And our accolades from Angie’s List and Best of Bethesda speak to our professionalism and our ability. 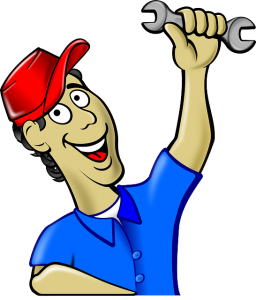 We can put our experience to work when you need service for the plumbing in your Aspen Hill home. Here are just a few of the essential plumbing services we offer for your home. Backflow preventers are designed to stop this from happening. It is a mechanical device which is installed into a plumbing system which completely stops water from flowing in a direction that it isn’t meant to, preserving the purity of your Aspen Hill home’s drinking water supply. Whether you need an atmospheric or pressure vacuum breaker, or another type of backflow preventer, Master Plumbing can determine the right fit for the needs of your plumbing system and keep your backflow preventer in great shape for years to come. A sump pump works to remove excess water from your home through its wastewater pipes or through a secondary drain pipe. If you’re having trouble with your current sump pump or experiencing the damage of a flooded basement firsthand, contact Master Plumbing. We can assess your Aspen Hill home and property and determine the right sump pump solution for your needs so you don’t have to worry the next time a huge storm rolls into town! No matter what kind of plumbing services you may need in Aspen Hill, you can rest easy with Master Plumbing working on your home’s plumbing. We will give you a fair price for the work that we do and pride ourselves on our honesty, integrity, and courtesy. Your satisfaction is our number 1 priority! Give Master Plumbing a call at (301) 650-9100 or contact us online to get more information on how our expert plumbers can help you with your Aspen Hill home’s plumbing system. We have received Angie’s List Super Service Award recognition for plumbing and drain cleaning every year since 2007, in addition to the Best Plumber award from Best of Bethesda. We are fully licensed, bonded, and insured and our service is unparalleled. Give us a call today—you won’t regret it! To see examples of our projects, follow us on Facebook, Twitter, and Pinterest.